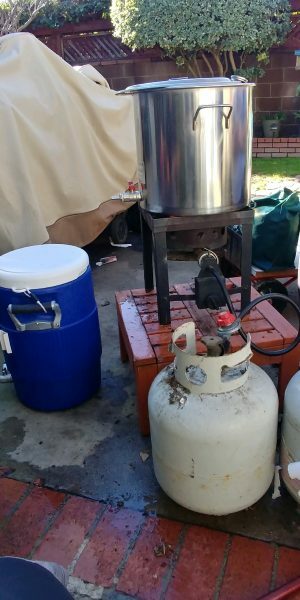 My grandnephew Max received two homebrewing kits for Christmas: a one gallon kit, and a 5 gallon kit. 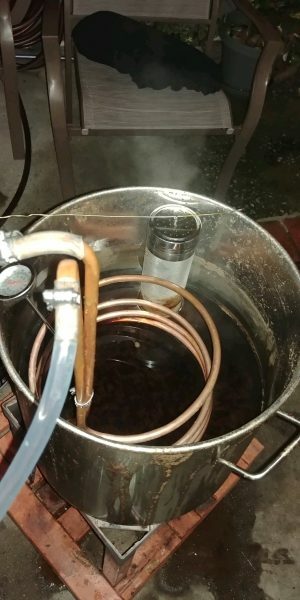 Since Max has never brewed before, I invited him over to experience the brewing process, along with my friend Justin “J.J.” Bermirez. 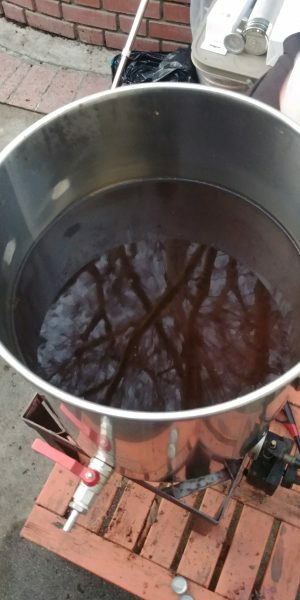 Today we’re brewing my first original recipe, a Vanilla Oatmeal Stout. 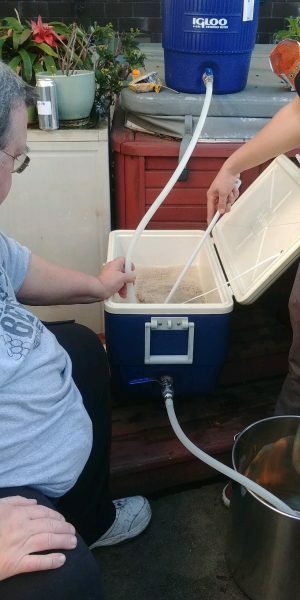 Sparging the mash in my mash tun. 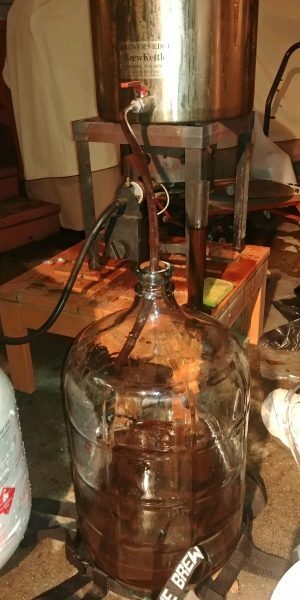 Original gravity (OG) reading was 1.080, as measured with a hydrometer at 70º(F). 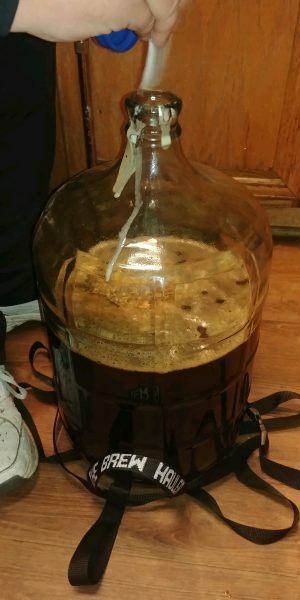 The plan is to ferment in the primary (carboy) until Jan. 26; transfer to a secondary fermenter; add a vanilla bean; ferment for another week; bottle on Feb. 2; condition for 2 weeks.